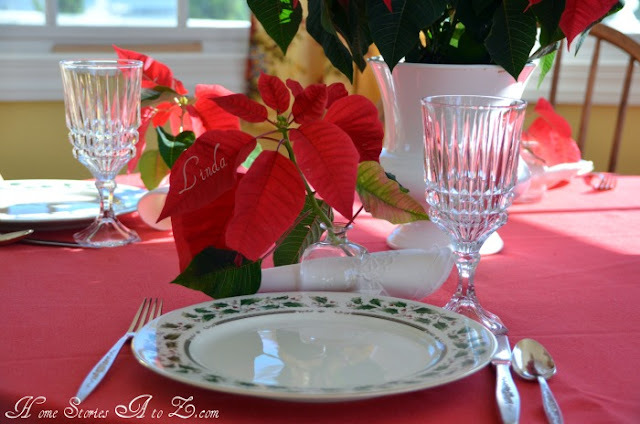 Beth shared some great tips for decorating with poinsettia this Christmas and my favorite idea is this beautiful poinsettia place card. She has great tips for cutting and preserving the poinsettia too. You can check out how to make these place cards and see all over her other ideas for decorating with poinsettias over at Home Stories A to Z.